A research team at the U.S. headquarters of Volvo Groups Truck Technology is investigating the use of lightweight composites in the manufacture of truck body panels. They are partnering with Arkema, a resin manufacturer, to develop a material that includes a polypropylene resin system reinforced with recycled carbon fiber (rCF). 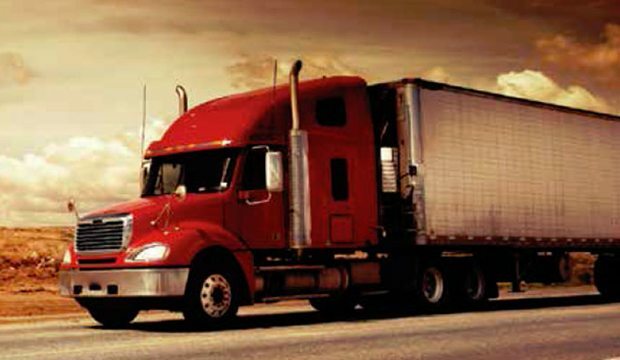 Using this material in conjunction with other changes could help reduce a truck’s weight by as much as 29 percent. Volvo uses a vacuum infusion process to mold the rCF parts, which are then subjected to heat and pressure for curing. Because carbon fiber is so strong, only 2.5 pounds are needed to achieve a tensile strength of 5,000 psi. Due to the weight reduction, the rCF material is a money-saving alternative to traditional materials. In addition, the rCF parts are 4.5 times stronger than comparable parts. Using recycled carbon fiber instead of virgin carbon fiber also reduces costs and keeps materials out of the landfill. Plus, rCF parts can be recycled when they have reached their end of life. There are still several hurdles that Volvo must overcome before the rCF parts become common in trucks. Mass manufacturing of large scale parts is still a problem, and there are questions about how well paint will adhere to the composite surface. No one knows how durable the new material would be or how it would stand up to fatigue. Volvo hopes to produce some rCF panels for road testing within a few years. If the material lives up to its initial promise, composite panel 18-wheelers could be making their way down the highways within a few decades.